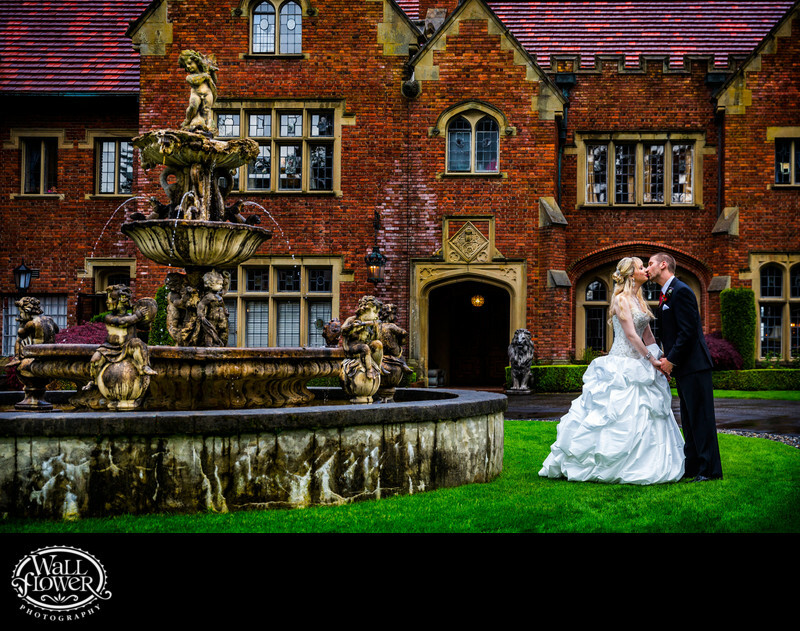 The front facade of Thornewood Castle is breathtakingly big and beautiful, and it's a very popular spot for photographing brides and grooms on their wedding day. The fountain in front isn't historic like the rest of the castle, having been built for the Stephen King TV miniseries Rose Red that was filmed at Thornewood Castle, but it's also very photogenic. This photo of the bride and groom holding hands and kissing while standing on the lush grass surrounding that fountain does a nice job of capturing all that detail and color in a sweet portrait of two people about to tie the knot in a wedding ceremony just inside that front door.